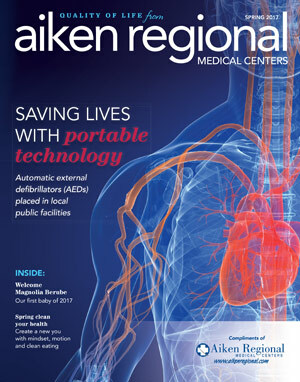 In collaboration with Aiken Regional Medical Centers, the Aiken Rotary Clubs have begun placing automatic external defibrillators in Aiken public facilities. Newly acquired technology means more accurate prostate biopsies. What makes the Cardiovascular Institute of Carolina at Aiken Regional unique is that it provides a variety of specialty cardiac services. Aiken family welcomes the first baby of 2017.